The name ‘Ape Caves’ sounds interesting and when you hear about a hike inside the cave, that definitely adds more curiosity inside your head – Isn’t it?. I had the same feeling when i heard about Ape Caves. 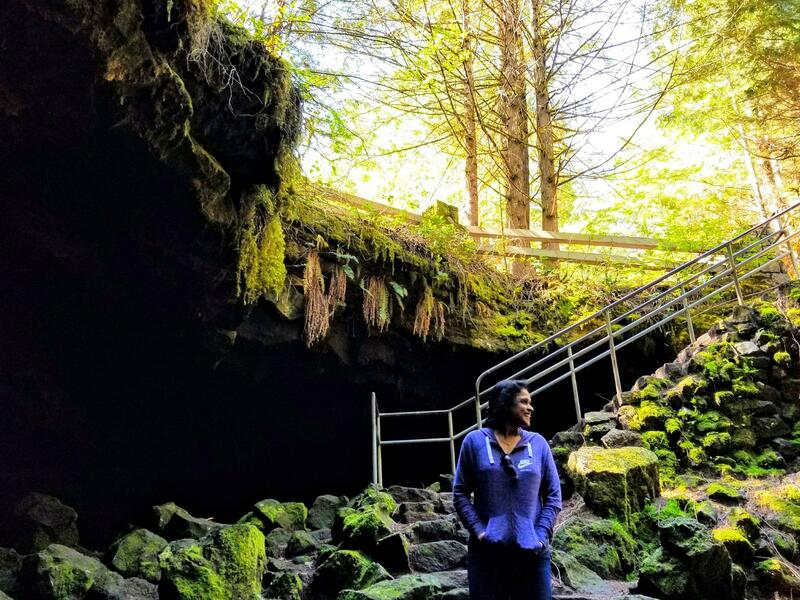 Ape Cave is located south of Mount St. Helens, measuring 2.5 miles long and one of the longest lava tube in the US and second longest in the world. 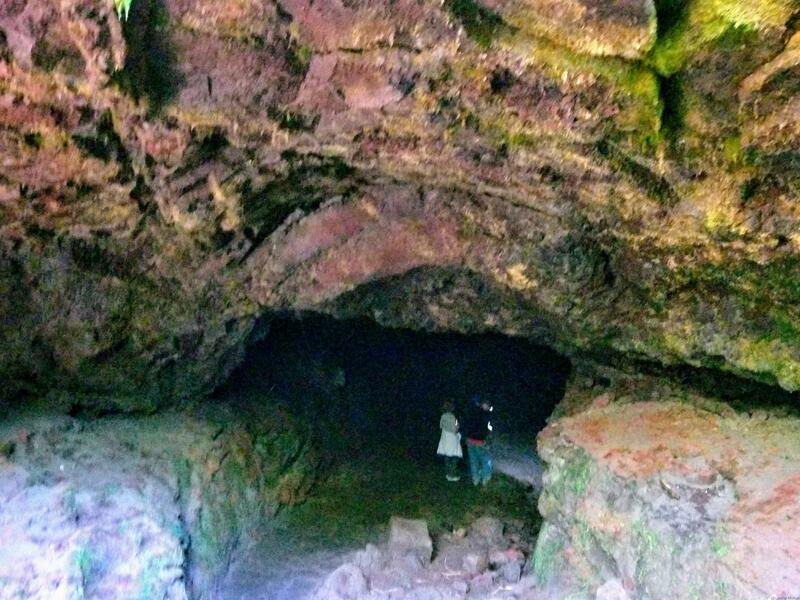 The lava tube was formed after the volcanic eruption of St. Helens. The trail to the Ape Caves is well maintained and there are very good information available to the visitors on the sign boards. There is a good parking area with basic amenities. Northwest parking pass is required or you can pay 5$ inside an envelope and drop inside the box kept next to the start of the trail. 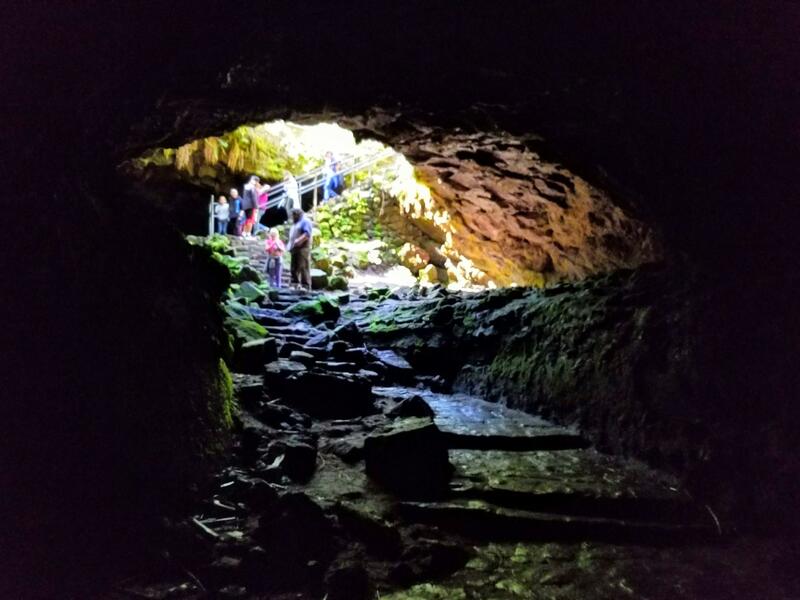 The Ape Caves hike is slightly different from the traditional hikes. This is a 2.5 mile underground lava tube with no exit in the middle. You will be hiking in a completely dark pathway and a flashlight is a must to carry to this hike. Please have additional light sources and spare batteries if you run out of them. There were few groups that got some bright light sources like hand-held lanterns which was a smart option. The temperature inside the cave is a constant 42 degrees . Though the temperature outside was 82 degrees, it’s cold inside, so please wear warm clothing, gloves and good shoes.The ceilings are drippy on some parts of the cave and there are small puddles on your way. 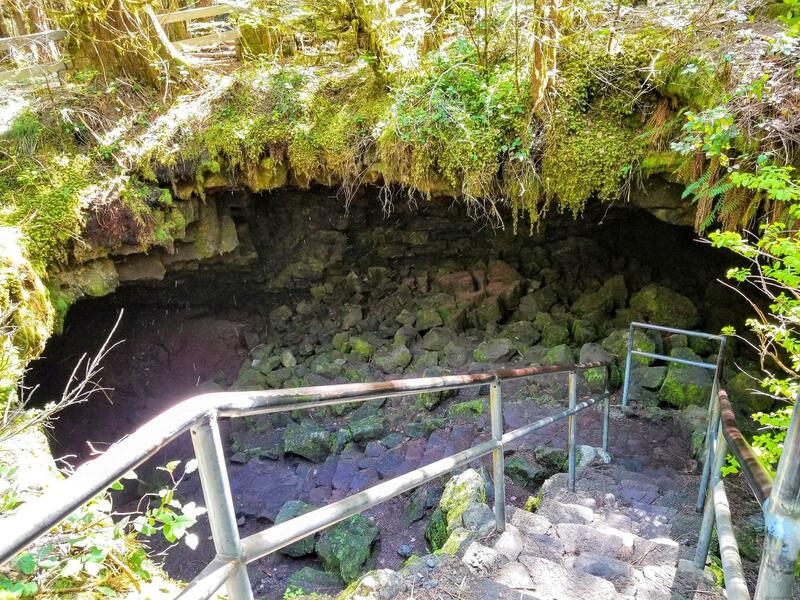 The entry to the cave is a small stairwell, dividing the lava tube into two passages – lower and upper cave. 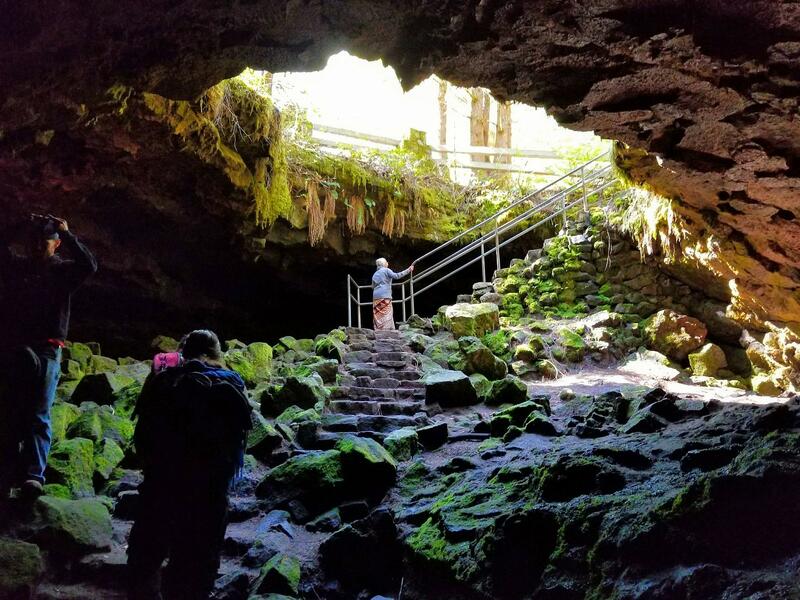 The entry stairwell is quite an easy passage for visitors of all age groups.The lower cave is a 1.5 mile long followed by an additional 1 mile hike to the upper cave. When we did the hike, the lower cave narrowed down to a very small hole making it difficult to crawl to the other side.The hike can be done in either direction. 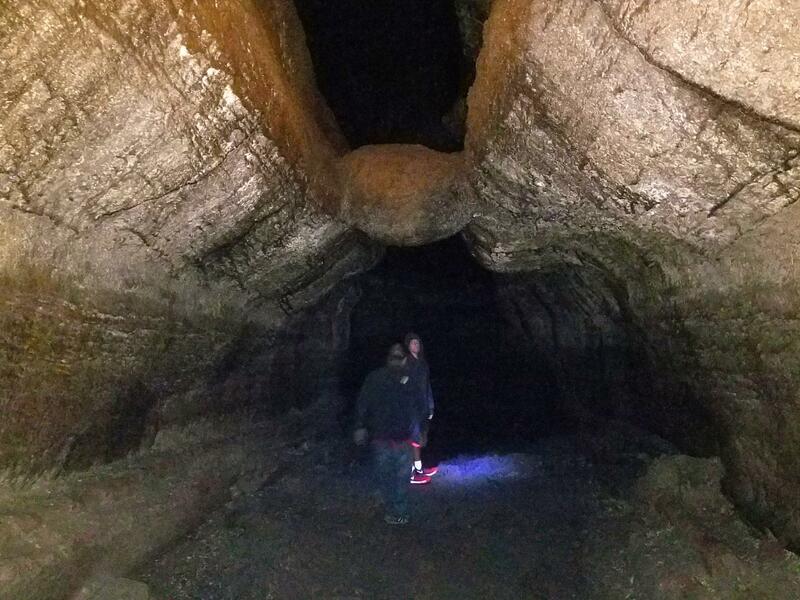 Ape Caves is a cool, moderate hike for anyone who wants to experience different part of the nature. They are basically lava tubes and the passage is filled with numerous rock piles to climb over, some of them are small pile and some are tall as high as 6 foot. It is a different feeling and experience to walk inside the dark lava tubes and keeps you amazed on how nature can change the world. You will not see any cave formations and if you looking for any rock formation inside the cave, this is not the place.